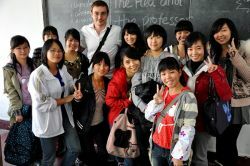 ISE is currently offering teaching positions in various schools in China. All vacancies are for immediate start, subject to a successful interview and visa application. Please email Director of Studies Hazel Parker with your CV to apply.